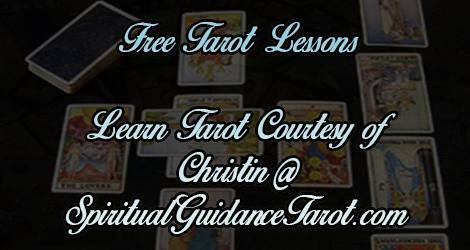 Have you ever wanted to learn Tarot but felt daunted by all the hundreds and even thousands of different books, decks, lessons etc? I completely understand! That’s why I am going to teach you Tarot – or more importantly teach you how to teach it to yourself in the most effective way possible. Start with the steps below – read and do the Tarot journal below exactly as I outline it. Once you have done that, you can move on to other lessons/posts which I will keep organized here. I will post new material on my blog and then put it together here in a more organized manner. I focus on learning the Tarot a bit differently than others. I think to be the most effective reader and to get the most out of Tarot; it’s important to develop a strong connection to your own cards and you can do this by learning with a Tarot journal. This doesn’t have to be anything fancy; in fact, you can start off with a 3 ring binder. I actually recommend this, because it allows you to rearrange and move pages around as you see fit. Get a journal or binder and pick a good starter deck. Once you have your deck, you want to pick a card per day – at random or in order, up to you. Take fifteen minutes and sit with your chosen card and write about the card. What is the first thing you notice? how does this card make you feel? Who are the character(s) – where are they, what are they doing or what is happening in this card? Do you see a lesson or story here? How does that story tie into an event in your own life? Answering these questions for each card, one per day gives you an opportunity to really connect with the imagery, to personalize it and get a strong feel for your cards. Do this PRIOR to reading any books or other definitions for the cards. This is very important. It will help you distinguish your own message and not merely try to memorize the ideas/opinions of others. That is KEY to becoming a great reader. Once you have gone through your deck in its entirety (no more than a few cards per day) then you can start to read up on other interpretations and ideas. You will notice both similarities and differences when you do this. I will be linking to various blog posts below in order, but don’t wait for me 🙂 You can visit the blog and search for the information you are looking for also. Can You Teach Yourself Tarot? Is Tarot Hard to Learn?